Disney giveth us live-action animated remakes, and Disney also taketh away live-action animated remakes. Well, not really completely take away, but pushed so far back we can barely glimpse it. That live-action Mulan movie you were super stoked to see? Yeah, you’re going to have to wait a little longer to see it in theaters…like, a year longer. Actually, two years longer. Originally, the film was set to hit theaters on November 2nd, 2018, and yes, that’s *this year. * However, Mulan herself was only cast four months ago, and will be played by Liu Yifei, also known as Crystal Liu. It certainly sounded like things were lining up to make the saving China magic happen, but that’s not the case. Liu’s casting is the *only* casting we’ve heard about this movie so far, and while that’s not completely unusual, for a mega movie like this one, it is. But just like everything else Disney does, the live-action Mulan has to be absolutely perfect. And while the film isn’t anywhere near close to production, there’s already been a lot of talk about it. At first, the director of the film, Niki Caro, said that it wouldn’t include the OG movie’s iconic songs; and then she said it would. Also, for a hot second there was a rumor that Shang — THE man who sings “I’ll Make A Man out of You” — wouldn’t be in the movie, but that seems to have changed as well. 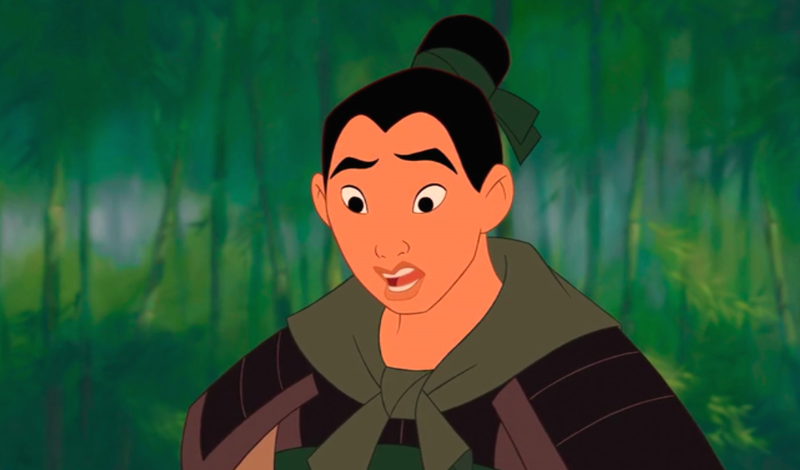 Basically, there’s a lot of back and forth about what’s going on with Mulan, and we’re just going to have to wait and see how it turns out. But remember what the Emperor of China tells Mulan after she’s literally saved everyone’s butts? The movie that blooms in adversity sure better be the most beautiful one of all, too, considering how long we’re going to now have to wait for this.